HOOSIER HEIGHTS IS YOUR PRIME DESTINATION FOR AN IDEAL GROUP EXPERIENCE. Bringing in a big group? It pays to be part of a team, so bring yours in to climb with a discount. Looking for an exciting place to host your next private event or party? Get the exclusive experience of Hoosier Heights facility all to yourself. Enjoy the excitement of climbing your heart out or use the party room to slow down and recharge while you eat, watch movies, play games, or whatever you like. 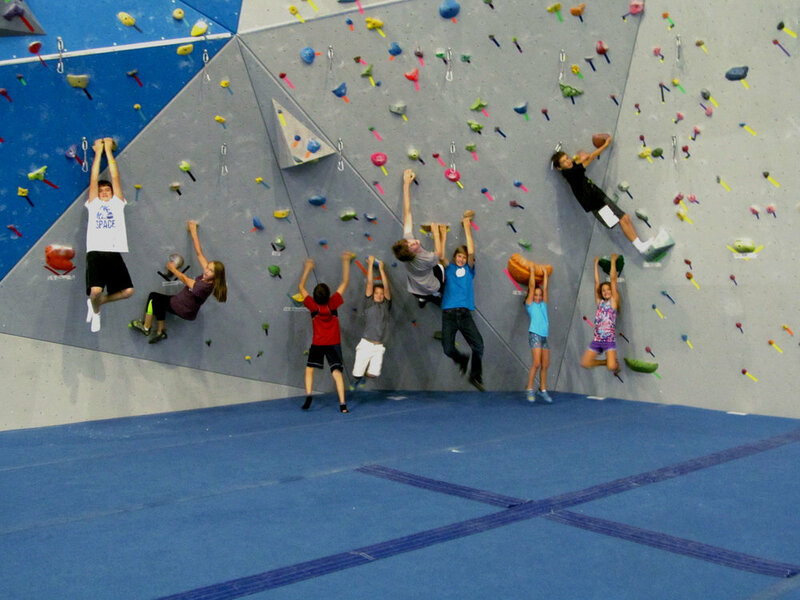 As an added bonus, all members of your group who are new to climbing will complete our fundamental climbing class – Introduction to Indoor Climbing. This course covers climbing and belaying* techniques as well as the proper use of all necessary equipment used during indoor top rope climbing. The lesson times vary depending on the individual and size of group. The Hoosier Heights staff will ensure that you are comfortable with the techniques and equipment before letting you go have the time of your life! *Belayers must be 15 years of age or older. (Optional) Rent a staff belayer: $20 per hour.